Travel Pulse included Atlanta on its list of top 15 movie tours to take this summer and Travel + Leisure shares a video featuring five things to do in Atlanta. Currently, Atlanta is the third most popular filming location, behind New York and Los Angeles, in the U.S. "Captain America: Civil War," "Ant-Man," "Dirty Grandpa" and "Ride Along 2" are just a few of the recent films shot in Georgia. So, it's no surprise there is an Atlanta Film Sites Tour that will bring you on a journey through the streets of Atlanta, to discover some of the most memorable locations featured on the silver screen. Peach City is as much a thriving financial center as it is an attractive Southern belle, lined with blooming dogwoods and fragrant azaleas. 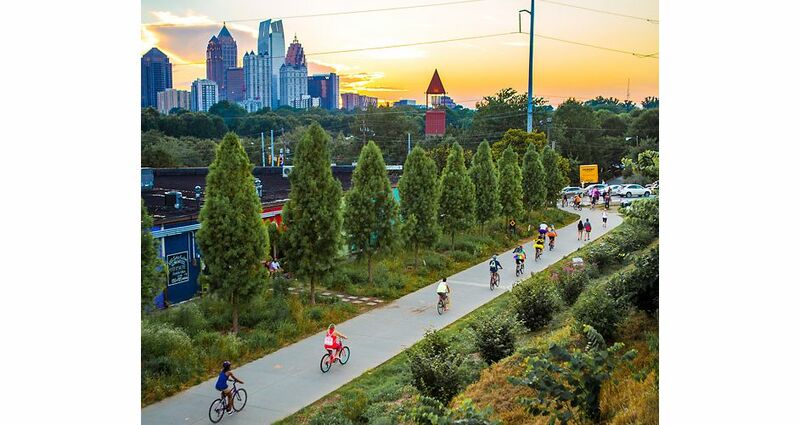 Sports lovers, gourmands, and culturevores alike will find fun things to do in Atlanta, including easy strolls along the Eastside Trail—a 3-mile stretch of the reclaimed BeltLine—that strings together five neighborhoods and two parks. If you work up an appetite, duck into Ponce City Market or Krog Street Market: two food halls with outposts from famed chefs.